Discover Long Island and NYC & Company are joining forces to promote NYC+, a concept that highlights Long Island as “New York City’s Beachfront Backyard.” The international marketing campaign specifically targets New York´s source markets Canada and Australia, inspiring them to extend and enhance their stay by experiencing Long Island, positioned as a charming, beachfront destination in contrast to urban, chic New York City. This is certainly a smart move from Kristen Jarnagin, President and CEO of Discover Long Island, as this partnership will generate incredible awareness for Long Island. Considering that New York City welcomes more than 60 million visitors per year, this initiative will also have an immediate direct $$$ impact, accelerating economic growth. Simultaneously, New York City will benefit from this collaboration as well, as the destination can now offer a more diverse product, which goes way beyond a bucket-list city break. This move will position New York as an ultimate destination with a variety of offerings, encouraging more incremental international visitors and boosting length of stay. 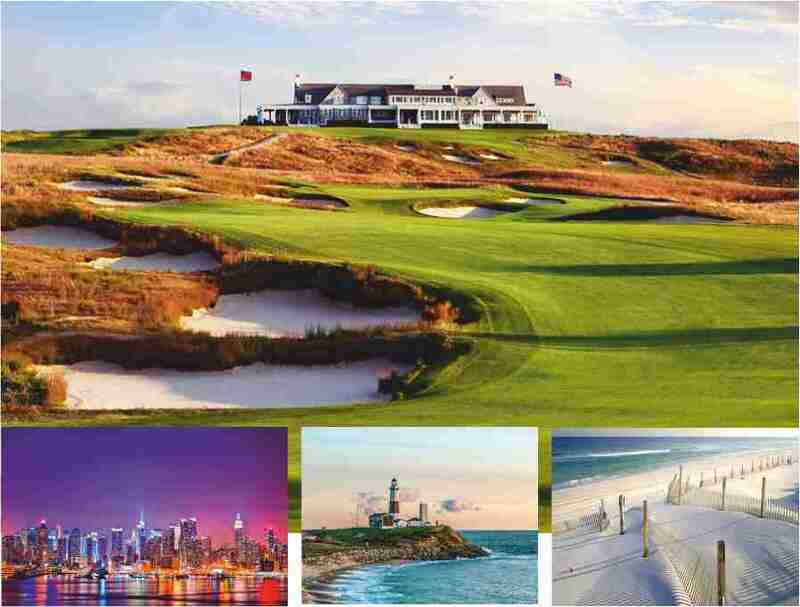 In my opinion, the New York – Long Island combo is especially appealing to international GOLFERS as the history of golf and the abundance of excellent Championship courses on Long Island is second to none. In fact, the origin of all of golf in the United States is Long Island, where the first course was officially opened in the USA - Shinnecock Hills in Southampton (1893). Since then more than 150 public and private courses – mostly highly prestigious tracks - have been built on Long Island. Several are considered ‘hallowed ground’, and their membership rosters include some of the oldest families in America. Eight US OPEN championships have been played on Long Island Golf courses, four since 2002 with another one coming up in 2018 (Shinnecock Hills, June 2018). Combined with an amazing city experience, this is the ultimate treat. Even though Long Island Golf represents some of the most elite and exclusive courses in the US, the experts at Elite Golf Experiences, America´s #1 golf tour operator, will be able to customize a rich and highly memorable golf & city experience for discriminating golfers in New York & Long Island – way beyond ordinary. Take my word for it!